I love this show! It’s like a full length movie, full of action, mystery and intrigue, not to mention, every one is attractive. Not too shabby. I certainly hope there is a season three. If I could have my wish. They would make Traville replace Rochforte and every week there would be a beginning and an end. I love the four musketeers and loved the way he backgrounds have been revealed with the exception of Aramis. I’d like to know his. A spectacular show. Love the cast, love the wardrobe, love the story. Fantastic show!! BBC is the best in entertainment! Will watch for as long as series lasts!!! Epic series. I enjoy it tons. The best program I have seen on television in ages. BBC America has put all other networks to shame. Action, romance, seduction and gallantry all rolled up in one series without all the trash talk. Bravo BBC!!! ‘The Musketeers’ is absolutely my favorite show and I hope it continues for many, many seasons!! Can’t wait for the new season, I hope there are more seasons in the near future. Best wishes to all of you. 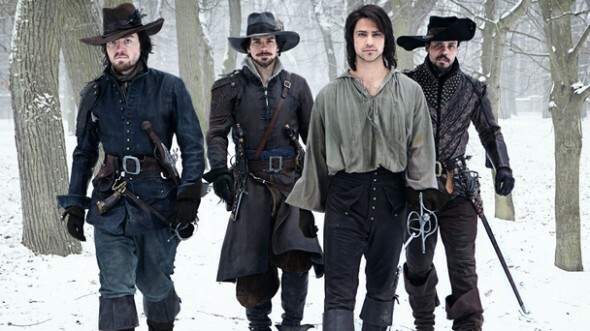 I have been a fan of the Musketeers for many years this one is my favorite, very talented actors. First time seeing Tom Burke perform he has great talent playing the role of Athos. Good Luck to all of you! Love love love it. Pure ramantic adventure. My all time new favorite can’t wait for the new season to start. Oh, HELL YEAH, I plan on watching the Musketeers! Great eye candy… I mean Great Show!